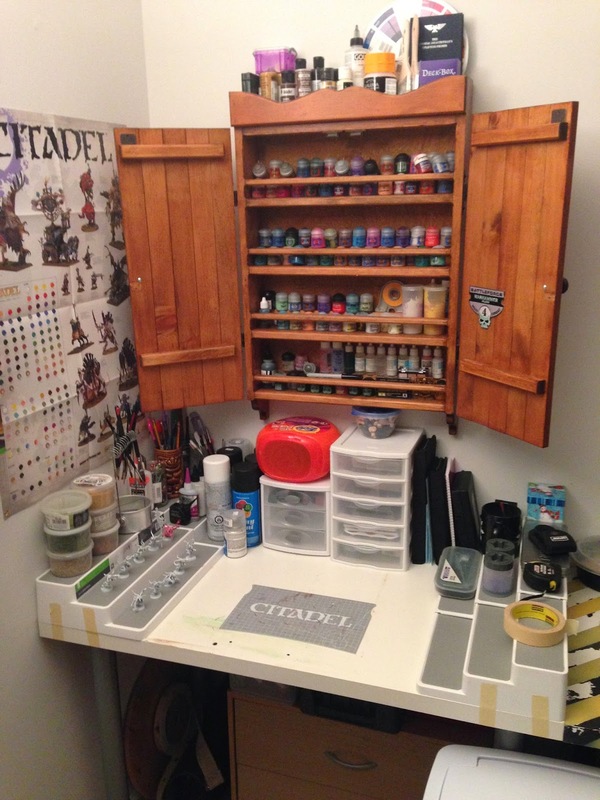 I don't have any painting or hobbying updates to put up today, so I thought I'd take a quick pic of the corner I do all my painting and whatnot in. Here you go... It's not huge, but it's functional. Completed and In Progress projects go on a shelf in a closet.